The unique climate of Central Texas makes it a home to raccoons, birds, bats, snakes and a great variety of other species. When wildlife crosses paths with humans, it can pose a danger to the residents. Fortunately, uninvited guests don’t have to be a nuisance for long. For more than 10 years, Critter Ridder has been researching and developing humane and eco-friendly methods that work best for Austin wildlife removal. Our highly trained staff offers same day service for the Austin area. Our expertise can be used for a wide range of issues. Whether you have a critter in your backyard, under your deck, in the attic or just have a strange smell under the house, we’re here to provide the best service possible. From trapping the biggest animal in a house to providing rodent control in Austin, no job is too small! We’ve developed proven techniques to handle urban trapping, animal exclusion, control, or removal. All of these processes are also performed while protecting our clients, their pets, and any unwelcome wildlife. Critter Ridder’s fully licensed staff uses top of the line equipment and has a passionate focus on safeguarding both our customers and Texas wildlife. We are committed to providing the best animal control service in TX. We know how much of a nuisance unwanted wildlife can be. So much damage can be caused from an unwanted guest in such a short amount of time. That’s why Critter Ridder remains available to you in order to help get your situation taken care of fast. We’re able to help you and devise a plan that will allow the safe removal of any wildlife that might be trapped within your home or business. Critter Ridder of TX also knows it’s important to maintain the balance of nature. That’s why we’re very proud of our humane methods of animal removal. Instead of something much worse, we capture the critter and make sure that they are removed as humanely as possible. Remaining humane is something we strive for and something we uphold every day in our work. Critter Ridder is the most discreet, efficient and effective wildlife control company in Austin. Wildlife removal is something we excel in. Our one year warranty allows us to be sure we keep our reputation as the number one ridder of raccoons, bats, and rodent control of Austin. We offer quotes for qualified customers in Austin, so call us today at 512-363-8070. Once you've found critters in your home or attic, our first job as animal control specialists is to figure out how the critters got there in the first place. We will come to your home to do a full examination of entry points and damage, then based on your situation we will give you a quote for the project. Once the quote is approved, the second step is to get rid of the unwanted pests. We do this by trapping all of the critters and closing all entry points that the critters are using to enter your home. All of our removal techniques are as humane and eco friendly as possible. Our work isn't over once we've initially removed the critters and patched up the entry points. We will continue to come to your home and remove additional trapped critters until they are completely gone! And, under our 1 year warranty, you can rest easy knowing that Critter Ridder is there for you should those annoying pests show up again! At Critter Ridder Texas, we know that unwanted animals on your property are more than an annoyance; they’re a liability. Pests can disturb you and your pets as well as cause property damage and health issues. We have extensive experience removing all types of animals from homes in Austin, Texas, so you can rest easy knowing that we will get the job done quickly and effectively. All of Critter Ridder’s services are safe and humane — we’ve developed a special system of trapping, removal, and exclusion that is designed with the animal’s health and wellbeing in mind. To learn about all of our services, browse through the website or call today for your quote at 512-363-8070. These nocturnal creatures are notorious for scavenging at night and making a home in your attic to sleep during the day. Several different types of rats call central Texas home. Known for entering your home anywhere: the roof, foundation, walls, ceilings, & more! Skunks are a creature that will quickly ruin your day should you encounter him! We can help rid the stinky critters! These fluffy critters will nest in your walls and ceiling, often making scratching noises as they scurry through your home. Some are harmless and some are poisonous, but all are known for striking fear into the hearts of homeowners. Bats and birds: the flying critters of central Texas. They will nest in your attic and find their way into your home. Learn more about how we can help. These strange marsupials are known for their broad omnivore diet that often leads them to the garbage cans of your home. 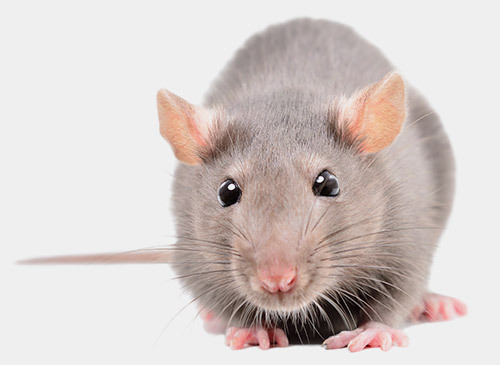 If a critter like a rat or racccon were to die in your walls or attic, they can emit a foul odor that can be unbearable to encounter.